Carputer Day at Carrypad. Pt1 of 3. Its Friday and I don’t expect much big news today so I want to take the time to look at the Carputer / CarPC market with three posts on the subject. I’ve had some first hand experience of using a ultra mobile PC in a car (here’s a series of posts I made previously about the Vega as a Carputer) and I found the experience exciting to say the least. I hate my old 6-CD player (12 tracks on a disk is so 90’s darling) and having access to a cache of good MP3, some videos and a GPS system is a dream come true. The market is still very fresh but I’ve been watching it carefully and 2006 has been an active year. Here’s a short video of the Raon Digital Vega ultra mobile PC in action with In Car Terminal software. Overview of current carputer / carpc market. Self-build. Power and size problems. UMPCs in the Carputer market. Pros cons. Alternative solutions. Smartphones, PDAs, PMP/Navi devices. Carputer Resources. Websites, videos, forums, vendors. A Carputer or Carpc is just that! 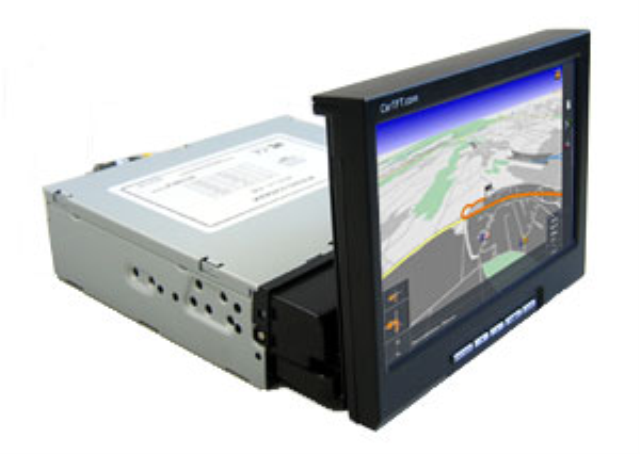 Its a PC that is small enough to be placed in a car and used for audio, video, navigation, engine monitoring (telematics), reversing cameras, Internet access, security, tracking, digital radio, digital TV, phone control, radar alert and more. The Carputer term has been around for some years (Google groups references go back to 2000.) 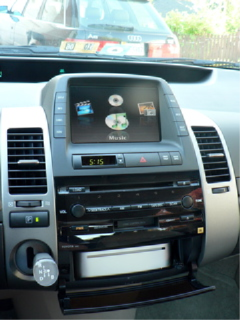 but the start of the digital music revolution brought a whole new reason for having computing power in the car. 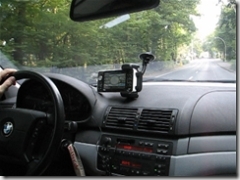 Since then, navigation and passenger video have been a big driving factor. Most of the Carputer market seems to be enthusiast driven at the moment but with the advent of Navigation-equipped pocket PCs, other people are being introduced to the concept. One of the major problems for the enthusiasts has been power and heat. PC’s with rotating disks have always been relatively power-hungry, large and hot and this presents engineering challenges for the enthusiast. The Mini-ITX form factor and Epia boards introduced by VIA helped a lot but these are still self-build options. A few companies are now starting to produce car-ready PCs and the ultra mobile PC tablet form factor has become an interesting option during 2006. New software is being developed at a faster rate and even traditional software packages for PC’s are being re-developed to fit a small and touch-enabled screen. Streets and Trips 2007 (Autoroute 2007 in Europe) is one example of a mainstream software package that has been developed with touchscreen in mind. In Sept 2006, Volkswagen announced their partnership with Intel and demonstrated a UMPC-enabled carputer. In this case, the ultra mobile PC was not the carputer but it was used as a kind of thin-client controller for the built-in carputer. The built-in carputer will become a new sales tool and slowly we’ll see carputers trickle down into mainstream cars just as air conditioning and navigation has done but there is some regulatory activity building up which will slow down this process. The University of Michigan is doing a lot of research into this area at the moment. In the meantime, there’s a huge number of people wanting solutions in their cars, trucks, lorries, and road trains. The popular forum MP3car.com has nearly 50,000 members. That’s way more than any ultra mobile PC forum has right now! So could UMPCs pay a big role in the Carputer industry or will it be smartphones and built-in devices that take the large share of the market? In the next post, later today I’ll look at some of the pros and cons of various options. View details of all Ultra Mobile devices in the ultra mobile PC product database. From N800 to Flybook V5, its all there! « OnlyUMPC R2H unboxing. Battery differences clear.